April 16, 2019, Nairobi: OPPO Kenya today unveiled their partnership with Marvel Studios for the upcoming Avengers: Endgame movie which will be released in Kenya by next week. Marvel Studio and OPPO will work together to promote the movie and the spirit of hero to young audiences in Kenya. As a part of this partnership, OPPO has confirmed that the OPPO F11 Pro Marvel Avengers Limited Edition will also be introduced later in Kenya but with very limited quantity and the date has not yet confirmed. 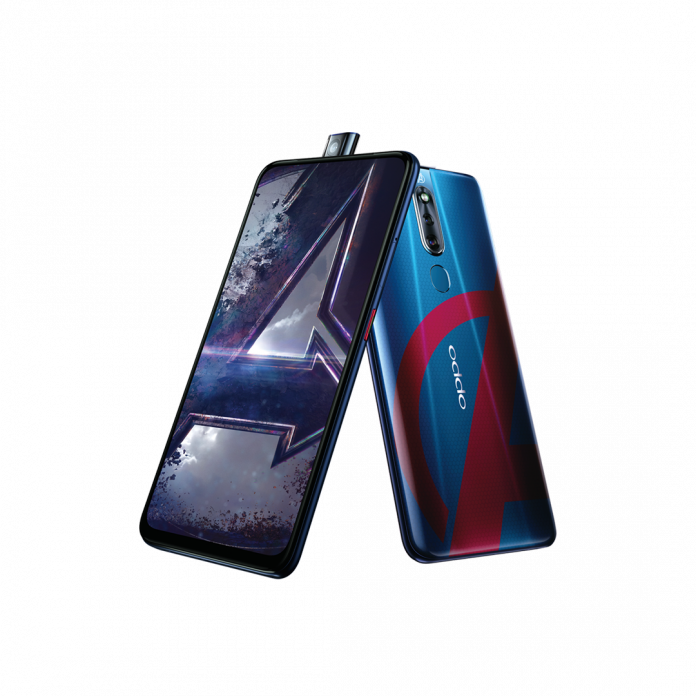 Combining Marvel Universe with OPPO’s innovative technology, the OPPO F11 Pro Marvel’s Avengers Limited Edition is a dream come true for OPPO and Marvel fans. With its soon to be announced updated features and classy Marvel look, this is a smartphone that will truly enable you to embrace your superhero adventure. As a global leading smartphone brand, OPPO understands best that there are many young people who idolize the iconic and powerful Marvel Studios’ Avengers. And that’s why OPPO wants to team up with the upcoming film, Marvel Studio’s Avengers: Endgame, to create something special for all the young Marvel fans everywhere. OPPO is excited to reach all Marvel fans with this exciting cooperation. Marvel Studios’ Avengers: Endgame is a movie that OPPO is looking forward to, and this association presents a great opportunity to users to feel that with the new F11 Pro, they too have access to vibrant and heroic powers that help them capture the best pictures. This partnership will enable OPPO to connect with the young generation, and truly believe that with the new F11 Pro, they will shine like true Super Heroes.